Scott McCarron won three times on the PGA Tour from 1996 to 2001. Plenty of people get married at a golf course, but how about a professional golf tournament? 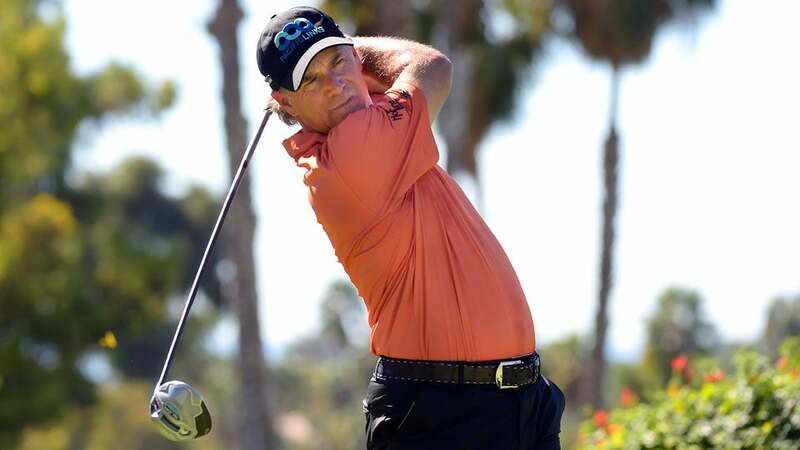 PGA Tour Champions player Scott McCarron, 50, married his girlfriend of four years, Jenny Klein, at a chapel on the course after playing the second round of the Bass Pro Shops Legends of Golf in Missouri. According to Golfweek, McCarron and Klein hadn't planned to get married that weekend, but when they saw the setting, a new plan was set in motion for a Saturday ceremony. Hall-of-Famer Tom Kite and eight-time-Tour winner Brad Faxon both told McCarron that he shouldn't wait to marry Klein. The chapel was open. Faxon found a harpist. The resort provided a cake. Klein bought a gown in town that day. The rest is history. "By the time I was on the ninth hole, the wedding was planned," McCarron said. "We could've planned that thing for a year and it wouldn't have turned out as good."